Around these parts we hold Stephen King in very high regard. Having said that, the discussion regarding his best and worst work will never come to a definitive end. It’s – obviously – all subjective. However, we’ve got a video here for you that you just might enjoy! Watch the awesome video below in which each and every last one of his novels (novellas, long short stories and comic books are excluded from the list) is ranked, from worst to first, so to speak! Check out the video, and let us know what you would have ranked higher or lower! 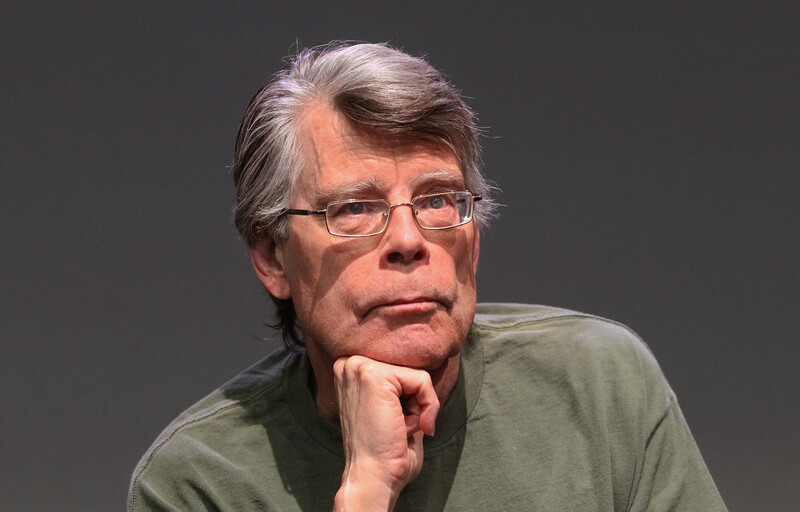 24 Comments on Ranking Every Stephen King Novel, From Worst to First! Of course there are some I disagree about but I did enjoy just thinking about each and almost every one I have read. thank you.. I agree that The Shining and Salem’s Lot belong at the top 5 on the list. King’s early novels are still his best. I would include The Dead Zone up there as well. Great post! I enjoyed the list, although I strongly disagree with “Christine” being ranked so high. I’d put The Stand at #1, Salem’s Lot at #2, and The Shining at #3. Unlike many, I am a fan of “Cell” and would have ranked it higher. I have a VERY soft spot for Christine. Not only that, but King’s success at creating realistic characters – in this particular novel specifically – works WONDERS for me. He also forces a character into personality change like no other I’ve ever read. I’m certainly comfortable with Christine’s position on the list, and I hope anyone who may not have read the book in a while – or, for that matter, may not have ever read the book at all, will seek this out immediately. This one features (arguably) some of the greatest personalities King has ever written. Yeah, this is fun. Thanks for sharing I started thinking about what my list may be and it was a daunting task. I kept flipflopping and switching until I had no list left at all! But one of my fave recent novels is ‘Cell’ which thought was great reading and trademark King. I guess if I had a favorite novel by King it would be It… but I was always more a fan of his novella and short stories.Sadly, I have read less than half novels on the list. all such brilliant stories that it’s impossible to disagree with any ranking, so long as those are very high on the list! Such lists are always fun. I would have preferred to see “The Dark Tower” listed as 1 novel, just as I prefer to see “The Lord of the Rings” listed as 1 movie and book instead of 3. How could anything be ranked worse than Lisey’s Story? That book was a cure for insomnia. I’m also scratching my head about Christine’s rank. I’ve always felt that Gerald’s Game is an overlooked gem. I agree with Salem’s Lot being #1. But some books I felt were really good were way down on the list. Fun to see though! And now I want to go back and reread a few. The Stand would be my number one in all its versions. Pennywise would be up there so would Misery. Finally , Pet Cemetery would be part of my must read lists. I liked The Stand a lot, but for me, it started to drag a bit. I honestly think King could have told that story – and made it just as mesmerizing – with a few hundred pages chopped off. My only problem with the book. I really enjoyed Colorado Kid. It’s always interesting to read what other people think…I never liked Lisey’s Story or Gerald’s Game, and I did enjoy the newer books more than some of his others. Also, while I enjoyed the Dark Tower series, it isn’t one of my favorites…I like The Shining, The Dark Half, The Stand, Firestarter, The Talisman and Black House…those are my favorites. Hey Charles, a lot of individuals would disagree with you. I actually did a lot of researching and reading before formulating the list – it’s not my personal opinion alone here, it’s a bit of a blend of personal opinion and public opinion. 11.22.63 is far too low. Song of Susannah far too high! Couldn’t believe how high that was compared to other, it’s a bridge to the last book at most. Just reading Revival now and loving it. A bit surprised to see Talisman so far down the list – that’s a masterpiece, and one of my all-time favourites – by anyone. I think the crazy thing about a list like this is it wont entirely please anyone. King is just one of those guys so good and so prolific, there will never be a unanimously agreed upon “best” list. Reasonably new to Stephen King so haven’t read that many yet but from what I have read I would have ‘Salem’s Lot and Cujo at a dead heat for #1 for me. After that it’s a little harder to be objective as I’ve found his short story collections to be really incredible and woukd probably rank them higher than the other SK novels I’ve read.